I recently had the chance to try and review some products from Moor Spa in lieu of an honest review. Moor Spa is a company that is inspired by nature, all of the products contain Austrian Moor, herbal extracts and pure essential oils. Their products are 100% naturally derived and have been rated as one of the safest product lines in the spa industry by consumer product safety organizations in North America. Moor Spa products are free of synthetic preservatives, parabens, sulfates, artificial colors and fragrances and petroleum-derived chemicals and every ingredient is listed in a 100% Natural Source Guarantee for each product. Moor is a rare form of nutrient-rich peat created by the gradual transformation of herbs, plants & flowers that are submerged under water or underground. The plant matter undergoes a ‘ripening’ process over thousands of years, during this process all of the organic and inorganic substances within the plants are combined into the Moor mud resulting in an herbal complex with wonderful revitalizing properties. Moor mud contains natural cell-regenerating properties, and is a powerful antioxidant, fighting aging, and alleviating acne and eczema, it also possesses natural astringent qualities to help eliminate bacteria and fight infection. Moor is highly anti-inflammatory, it is great at detoxifying, making it excellent for skincare! The three products I was able to try was Moor Spa Body Mask, Body Scrub Cream and Shower Gel. 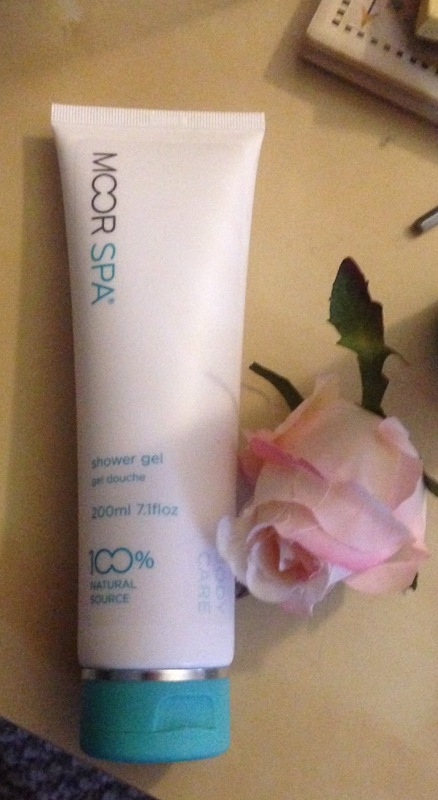 Because of the many benefits Moor has for skincare, it is excellent as a body mask. Moor Spa Body Mask is made up of 100% Austrian Deep Moor Heilmoor Clay. A body mask can be used for general detoxification, pain treatment, inch-loss body wrap and for cellulite reduction. I would apply a thin, even layer of body mask to the treated area or the whole body. Leave on for about 30 minutes; it works even better if you are wrapped in a thermal blanket, plastic wrap or foil. If are like me and are not able to wrap your whole body, I wrapped certain areas like my arms and thighs with plastic wrap. Rinse and relax wrapped in a cozy robe or blanket. At first my skin felt tingly once the mask was applied but then it feels completely relaxing. I really noticed my skin looks and feels tighter after the application. This is the perfect spa treatment at home! This scrub has ingredients like Heilmoor Clay, Ginger Root Oil, Cinnamon Cassia Leaf Oil and Citrus Peel Oil. It’s a creamy scrub with small grainy particles as well as large granules. It’s not a harsh scrub and has a nice fine exfoliation to it, not too coarse – perfect if you have sensitive skin. 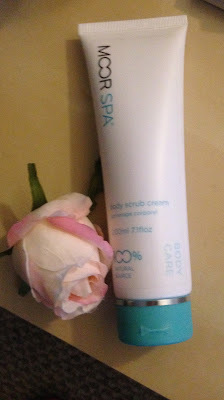 It helps gently draws out impurities and removes dead skin. The ingredients give this scrub strong antioxidant and antibacterial properties. It has a light yet relaxing fragrance. After using the scrub my skin looked bright and felt firm. Sulfate free, foaming shower gel that uses Heilmoor Clay with lavender, lime and lemon oils – the citrus scent is amazing! 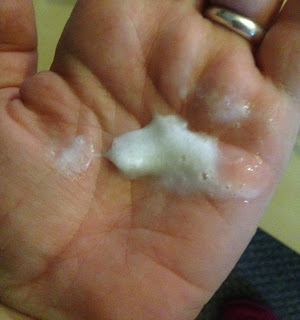 I liked that it forms into a rich lather and it also has small granules that work to exfoliate your body. A little product really goes a long way - you’ll have it for a long time! 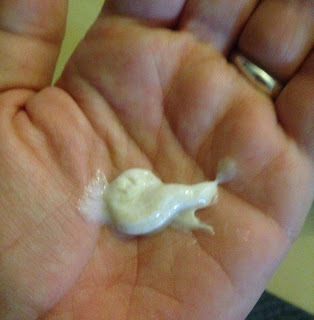 I loved that my skin was super soft and smooth. It looked glowing, clear and healthy. 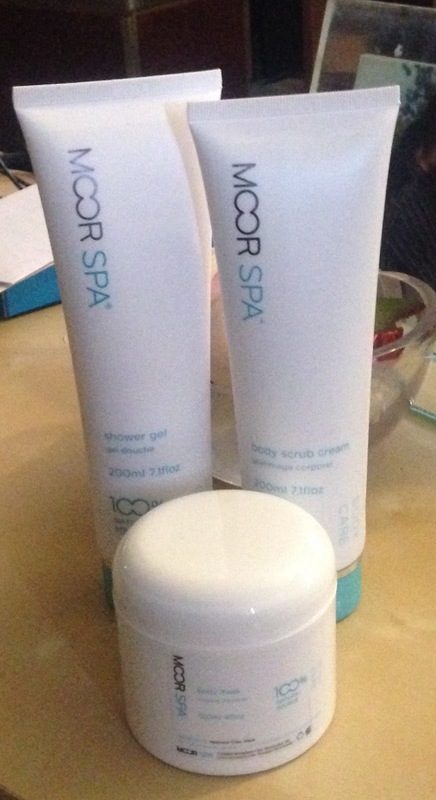 I had the best time trying out these products, it was like having a spa in my own home!